We had my brother and his son over for supper last night and as it was a weekday, we wanted a simple meal for four persons that could be prepared well in advance and then cooked within 30 minutes. 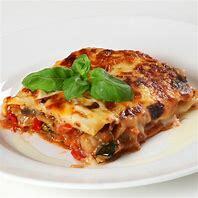 With these restrictions we thought about a pasta dish such as lasagne al forno (see my blog from 30 October) or a tuna pasta bake, with a side salad, and garlic bread. 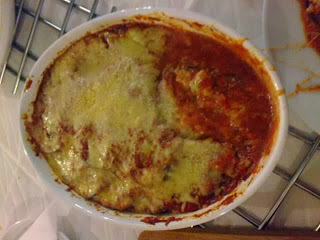 We decided on Melanzane alla Parmigiano - baked aubergine with tomato sauce and mozzarella. This is a classic Italian dish that you find on menus throughout the world. The grilled aubergines in our recipe make it much lighter than the original where the aubergines are fried in copious amounts of olive oil. Combine the passata, basil and garlic in a bowl. 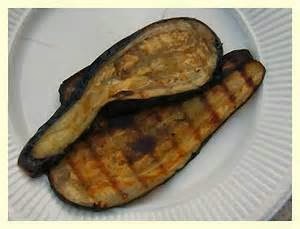 Season with salt, cover and leave to marinate while grilling the aubergines. 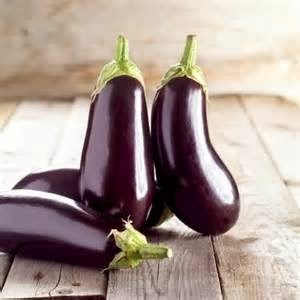 Cut the aubergines lengthways into slices about 5mm thick. Heat a ridged cast-iron griddle pan over a high heat until it is searing hot, add the aubergine slices and cook for 2 minutes on each side until charred on the outside and soft all the way to the centre. If the outside is colouring too quickly, reduce the temperature to give the centre a chance to cook. Set aside. 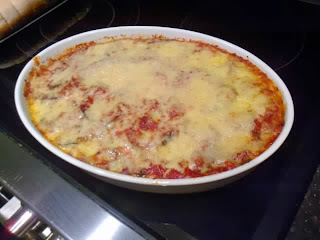 Assemble the ingredients in an oven dish 25cm x 17cm. Spread the base with a couple of tablespoons of the tomato sauce, then top with a single layer of aubergine slices so that they slightly overlap. Season lightly with salt, then top with a third of the remaining tomato sauce. Scatter with one third of the mozzarella and one tablespoon of Parmesan. 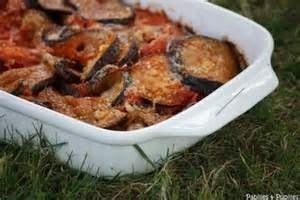 Repeat the layers, starting with he aubergine slices until all the ingredients are used up, finishing with two tablespoons of Parmesan. Bake in a preheated oven at 180'C or gas mark 4 for 30 minutes. Leave to cool for 5 minutes before serving. 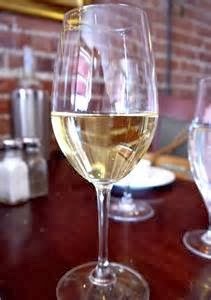 Enjoy....and don't forget a nice glass of wine.